Help your friends and neighbors. Nothing is as effective as a personal invitation. Please download and print this postcard and personally deliver it to those who would benefit. If you don’t have a printer or colored ink, that’s not a problem! Contact Mary Ann Stoll, the HLWID Communication and Public Outreach Manager. She will personally deliver a packet of postcards to your residence around the lake. 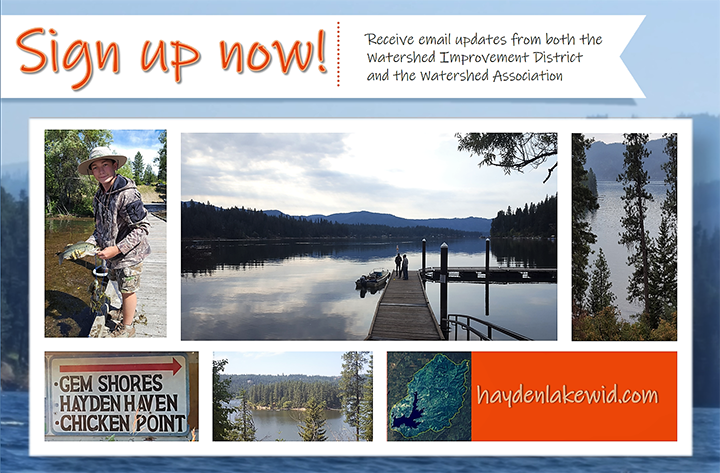 Thank you for joining the Hayden Lake Watershed Improvement District's email community. An error occurred while trying to subscribe to the Hayden Lake Watershed Improvement District email community. This email address already exists in our records! We're glad you're already part of the community! If you wish to register a different address, please enter it here. 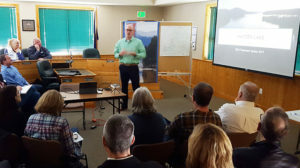 * The Hayden Lake Watershed Improvement District and the Hayden Lake Watershed Association share a single email database. You will receive email messages from both. We will not share your information with any other entities.